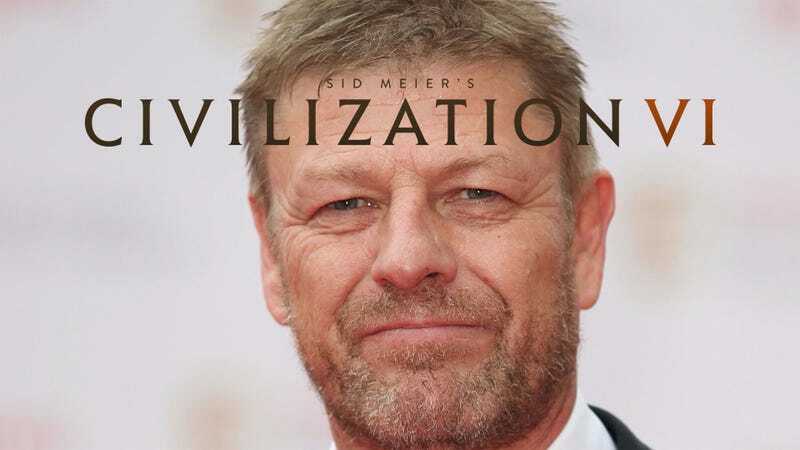 Sean Bean is not the star of Civilization VI. But he is easily one of the highlights. The role of Civilization tech narrator, despite sounding boring as hell, is actually a pretty famous one! Leonard Nimoy, for example, was incredible in the job, turning a dull series of quotes into a real treat every time you made a little advance in Civilization IV. Bean, who voices Civ VI’s collection of famous sayings from history, academia and...elsewhere does just as good a job. Below you’ll find a few examples. Also, shout out to the game’s other voice acting star, British actress Natasha Loring, who does a fantastic job as your advisor. As for my thoughts on the rest of the game, our review is in progress, and should be up by the end of the week. That’s one hell of an intro for a turn-based strategy game you’ve got there, Civilization VI.